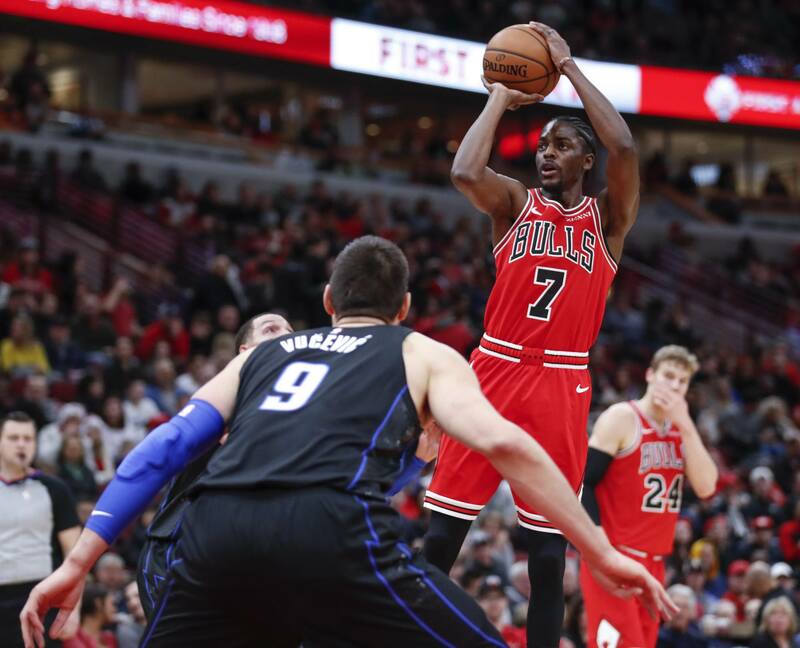 The Memphis Grizzlies have traded for Chicago Bulls guard Justin Holiday in exchange for forward Wayne Selden, guard MarShon Brooks, and two second-round draft picks. The move comes as Memphis sits just outside the Western Conference playoff picture with an 18-19 record on the season. That mark puts the Grizzlies just 2.5 games behind the Los Angeles Lakers for the final playoff spot in the West. But Memphis has lost three straight and eight of its last 10 games, suggesting that changes might be necessary if the team wants to make the postseason for the eighth straight season. The 29-year-old Holiday could play a significant role in that effort. The University of Washington product is averaging 11.6 points and 4.4 rebounds per game this year, and has a .359 shooting percentage from three-point range. His production might improve on the Grizzlies, at least in terms of efficiency. Holiday is averaging nearly 35 minutes per game this season, by far the most of his career. He won’t be expected to take on that much court time in Memphis, and probably won’t be asked to shoot as much in general – good news for a player who is only shooting .383 from the floor this year. Instead, Holiday will likely slot into the Memphis rotation alongside players like Mike Conley, Garrett Temple, and Kyle Anderson, taking time that previously went to Selden and Brooks as well as providing a breather for the current starters. Holiday also makes sense for the Grizzlies financially, as his $4.4 million salary keeps the team just under the luxury tax limit. Holiday’s contract will expire at the end of the season, and it is unclear what Memphis’ plans are for him going forward – though the fact that the Grizzlies gave up two draft picks in the deal might suggest they see him in their long term plans. Along with the two draft picks, the Bulls are also picking up two players who played relatively small roles for Memphis. Selden is a 24-year-old shooting guard out of Kansas who was averaging just 5.4 points per game for the Grizzles, while the 29-year-old Brooks is averaging 6.6 points per game this season. If the names Selden and Brooks sound familiar, it’s likely because the two were nearly involved in a trade earlier this season. Back in December, the two were expected to be part of a three-team deal, but that trade fell apart after it turned out that the Suns thought they were getting the younger Dillon Brooks in the deal rather than MarShon Brooks. While adding Holiday could help Memphis make a playoff push, few expect the team to actually contend for a title this year. William Hill lists the Grizzlies as a 150/1 pick to win the NBA championship this year, and has them as 80/1 underdogs to win the Western Conference title.